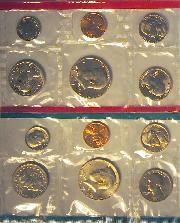 A United States Mint set is a government compiled set of each denomination of coin from each mint that is minting that coin for circulation. 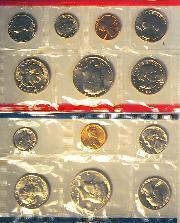 Up until recently, these coins were the same as those intended for circulation. 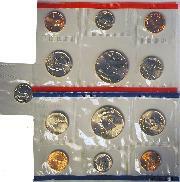 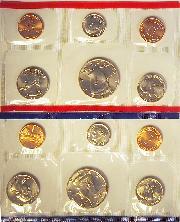 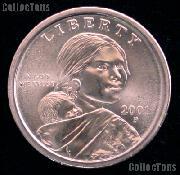 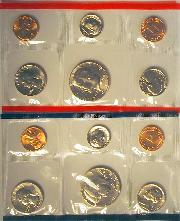 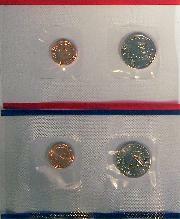 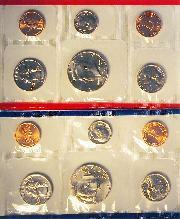 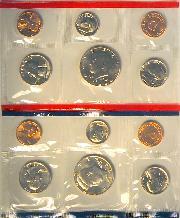 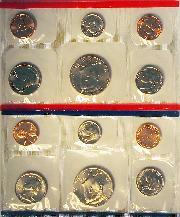 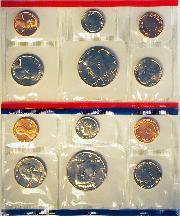 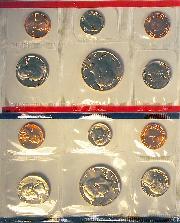 Beginning in 2005, the mints began using coins minted with a satin finish rather than the standard uncirculated luster. 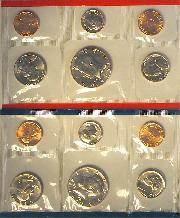 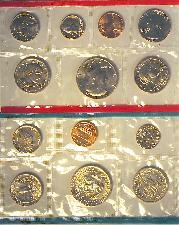 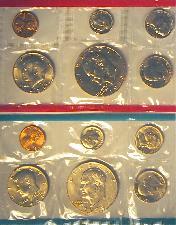 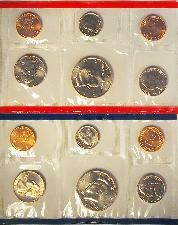 Mint sets issued by the Treasury from 1947 to 1958 contained 2 of each regular issue coin, from each issuing mint, packaged in cardboard holders that offered little to no protection. 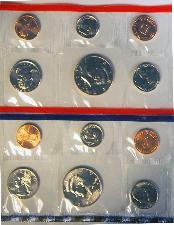 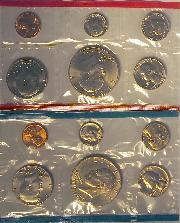 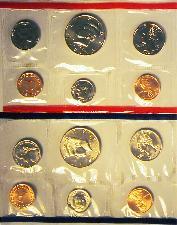 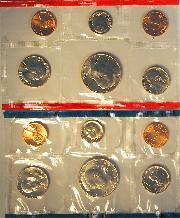 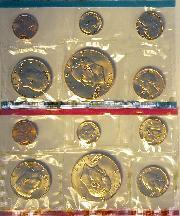 In 1959, the Treasury began packaging mint sets sealed in protective plastic envelopes, and reduced the number of coins from two per denomination, mint pair to one per denomination, mint pair. 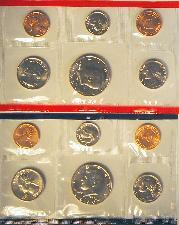 No mint sets were produced in 1950, 1982 or 1983. 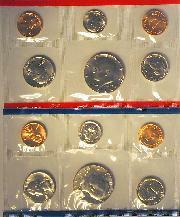 Interested in learning more about Mint Sets?